We cannot thank Martin and Sarah enough, they could not do enough for us. We have had so many compliments from our guests who loved the day. I started planning our wedding 2 years in advance and nothing was too much trouble for Martin who would happily arrange a meeting with me to discuss our idea and really bring our vision to life. Organisation wise the day ran exactly to schedule and the wedding breakfast was set up the night before so that I could preview everything and make sure it was how I wanted it to look. The canapés and wedding breakfast meal were absolutely perfect and the service was excellent all the drinks were kept topped up, the food was hot and delicious and very fresh. We had compliments from everyone about the meal. The bar staff were phenomenal and drinks were very reasonably priced. The hog roast we had in the evening was the best we or any of our guests ever had; with lots of people having three platefuls. The next morning Martin and the staff had packed everything up for us as all we had to do was load the car and run to the airport. We cannot praise this venue enough and we now know of a list of people that wish told hold their events here. Thank you Martin and Sarah and rest of the staff that helped and made our wedding dream come true. Dear Martin. We have had endless compliments on the wedding and the venue. Many of our guests said this was one of the best they have been to. Thank you so much to you and your team for making it possible, plus a huge thanks to the chefs for supplying such high quality food. You have made the process so enjoyable and relaxed! You guided us through the process and listened to all our requests and questions. You really did make all our wishes come true over the whole weekend. We truly feel that you care about your clients and have their best interests at heart . All your staff did a fabulous job too, but there were two members that really stood out not just to me and James but our guests all had the same lovely views. Sarah and Ron really went over and above to make sure we are looked after throughout the day. We can’t thank you all enough. It was a pleasure having you and your team by our sides during this process. A day that we and all our guests will treasure forever. 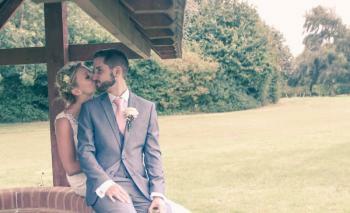 Mr and Mrs Fayers. We just wanted to say a huge thank you to you and your team for making our Wedding day and the lead up to it run so well & smoothly. We had so many compliments on the food which was fantastic and how well organised everything was. Sanjay & I really appreciate all the hard work that went into organising the day. We got married on the 9th September 2017 and wow what a day. Things did go wrong, as they always do, but Martin, Sarah and the team coped with ease and always had a ready solution. The food is beyond description and will rival many a top restaurant. We had afternoon tea followed by a BBQ in the evening. The variety, standard and quantities were beyond compare. The grounds are beautiful and save so all the children could let of some steam. We partied for twelve hours straight yet ever single member of staff had a big beeming smile all day and could not do enough for us and our guests. I will never forget our wedding or the hard working team, who have some amazing ideas to make your day, your day, enough. We wanted to write and thank you for making our wedding day such a perfect occassion. 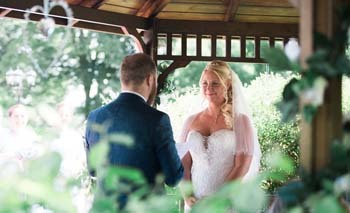 We had an absolutely perfect day at The Pavilion, and wish we could do it all again! We were so impressed with the venue and all of the staff, the shining star being Martin (the Wedding Catering Manager) for whom nothing was ever too much. He really is fantastic. After months searching for a wedding venue we finally decided on The Pavilion at the Lane End Conference Centre. 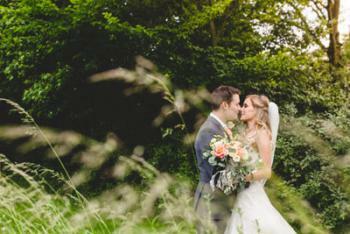 This venue is gorgeous, with rolling lawns, and newly refurbished wedding room and bar area. The team especially Martin, Sarah and Heni catered to our every whim. The day would not have been so amazing were it not for them. Martin even managed to round up umbrellas out of nowhere so fulfill my dream of having an outside ceremony, as the good old British weather had other ideas. The food was outstanding and they made every effort to cater for all dietary requirements, even the childrens' meal had the adults envious. The wines were exceptional and bar prices extremely reasonable. We asked them to make our cake and cupcakes which were superb and our guests were delighted. We went with the platinum package which relieved us of most of the pre-organising hassle and stress. Martin the wedding coordinator was a god sent and a miracle worker. We would highly recommend this venue for any engaged couple to consider. We had an amazing day and the guests commented that it was one of the best weddings they had ever attended. We had such an amazing wedding day and experience throughout at The Pavilion. The staff were amazing and it was such a stress free day for the both of us. We received loads of comments from the guests regarding the food too, so huge compliments to the chef. We had a lovely day, cannot fault it, thank you. We had an amazing day which we will never forget!! The day run so smoothly and all our family and friends had a fantastic day, 'the best wedding they had been too' one of our family members said. The food, the venue, the staff especially Martin were amazing. I just wanted to say we had a fantastic time on Saturday, the pavilion was the perfect venue! Please pass on our thanks to Sarah who was very helpful on the night!! We would certainly recommend the venue to friends as everyone said how great it was! I wanted to say a huge thank you to you, Martin and the rest of the team for making Emma & Wezley's wedding such a wonderful day. Everything ran perfectly, particularly the weather (although that's one thing you can't take the credit for! ), and I was so pleased with every aspect of the day. The day ran like clockwork, the food, drink and service were excellent and the venue was just perfect as many people have said to me. I'm sure the smooth running of the day hid a lot of hard work and organisation behind the scenes. We honestly couldn't have asked for anything better. Please pass on my sincere thanks to all involved and I wouldn't hesitate to recommend you to anyone else looking for a wedding venue. With very best wishes and our sincere thanks. Thank you to everyone at The Pavilion. Our wedding day was perfect and we couldn't have asked more. Lydia was wonderful on the day, she helped me stay calm and had everything set out just like I asked. Martin did everything he could and more for us on the day - they are both a credit to your venue. We would like to say a massive thank you for everything you and your team have done for us on our wedding day. Everyone was so helpful and everything ran like clockwork. We couldn't have asked for a better day and we really appreciate it. Thank you. 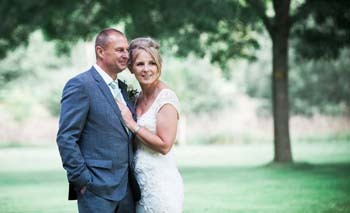 Can I firstly start by thanking you and everyone at Lane End for a truly incredible wedding day! It was without question the greatest day of my life and I am sure Keeley would say the same. The weather was amazing and made for such a pleasant day outside and we couldn’t have picked a better venue to celebrate our day ­ it was perfect! 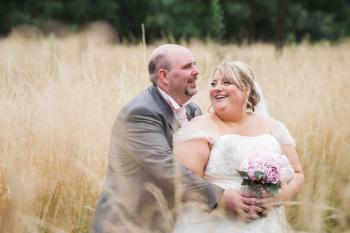 We would like to express our sincere thanks for the wonderful wedding of Richard and Kirsty. Every member of staff were attentive, professional, proactive and at all times friendly. The bar staff were exceptional and although we kept them extremely busy, each drink was served with a smile! Please also pass on our thanks to the Chef and his colleagues for the excellent food throughout the day. Every guest commented how delicious the food was. We had a delightful day. Thank you so much and we wish you every success in the future. We attended the Wedding Open Day on Sunday. Our daughter Kirsty Sheppard is marrying Richard at your Conference Centre on 29 May 2015. We wanted to express our sincere gratitude to all members of staff we met on the day. Everyone was extremely professional, friendly and accommodating. We left your Centre feeling confident that their special day will be wonderful. Please pass on our thanks to all your great members of staff. Thank you so much! Saturday was great fun but as always it goes far too quickly. The venue looked beautiful and everyone said how lovely the food was, so please pass on my thanks to the Chef and the kitchen staff. The bar staff had their work cut out on the night and so a HUGE thanks to them too for all their hard work. A massive thank you to you and the team for everything you have done, it made my night fabulous. I would love to see you all again very soon ­ just need an excuse for another party! We had an amazing wedding day at The Pavilion at Lane End. It was well run and the whole day went without a hitch. Thanks to the team for all their help in the run up to the day and for being on hand throughout. The food was really good, the waiting staff were smart and professional and everything went really well, we couldn't be happier. I am writing to express our sincere thanks for the wonderful wedding arrangements you have offered us. Everything was perfect. You and your colleagues have listened to our every need and made sure we had the day we hoped for... thank you so much for giving us the most wonderful day. Every good wish, Richard & Jeanette. We just wanted to say a huge thank you to both yourself and your team. We had an amazing day and you all worked tirelessly to make sure everybody was well looked after. Every interaction with Heni, Carolyn, and yourself has been an absolute pleasure. It made us feel very special every step of the way. You especially went out of your way to make sure we had everything we needed for the big day. Even on the day moving everything from the conservatory to the Gazebo ten minutes before the ceremony was due to start. We were so pleased we were able to have the ceremony outside. All of our guests have also complimented the quality of the service and the food. Several saying it's the best food they've had at a wedding.